ALL GARMENTS ARE HAND-MADE IN THE UNITED STATES. At this time we are providing two lines of multiple-use/layering garments. One line of vests and jackets features 20d RipStop Nylon (DWR/ Down proof) with 60g PrimaLoft® One insulation. 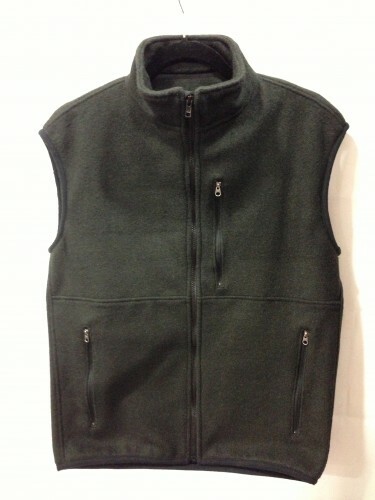 The other line of vests only uses a 50%/50% wool/polyester blend. This combination results in garments designed for ultimate outdoor performance, comfort, and fashion. All garments are of the highest quality craftsmanship created by the Old Order Amish community. All production is done in private homes “off the grid” on non-electric sewing machines. Utilizing this unique production type leaves a negligible carbon footprint and ensures an ethic of environmental sustainability. This collaboration of cultures stimulates the local economy in general and provides employment and financial benefit to our local Amish community. The level of craftsmanship and production methods means that these specialized garments will not be mass produced. They are offered as limited edition models as the supply allows.